Stride Insurance Group, provider of wholesale Property Owners Insurance to over 300 brokers throughout the UK, welcomes experienced insurance professional Gary Overton as a Property Insurance Account Manager to develop business with brokers in the Midlands region. We are delighted to have Gary on board to serve our many brokers in the Midlands and continue the growth in our Property Owners business. Stride Insurance Group, provider of wholesale Property Owners Insurance to over 300 brokers throughout the UK, welcomes Gary Overton as a Property Insurance Account Manager to develop business with brokers in the Midlands region. 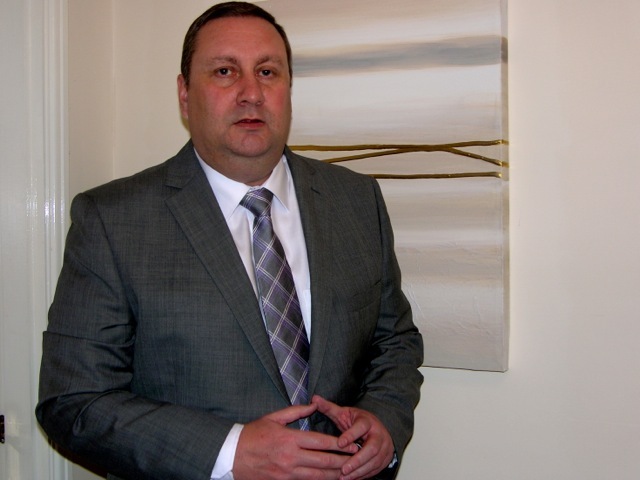 Gary has a wealth of experience from more than 20 years in the insurance industry. His career started in underwriting with Eagle Star and he moved into sales, with a bias towards Property Owners insurance, at RSA before going on to work in the wholesale market with a managing general agent working with brokers in the Midlands area. "Stride Insurance Group has a number of existing broker clients in the Midlands and there is great potential to extend the reach of the wholesale business further north. When meeting brokers, I am really pleased with the response towards Stride, our strong offer and professional approach has helped to build an excellent reputation in the industry and I am looking forward to developing both new and existing accounts." "We are delighted to have Gary on board to serve our many brokers in the Midlands and continue the growth in our Property Owners business. Gary's extensive product and market knowledge make him the ideal person to take us forward as we look to continue the strong growth in wholesale property owners business we achieved in 2011." Stride Insurance Group is an independent property insurance broker established on the South Coast since 1973, offering wholesale Property Owners Insurance to more than 300 brokers and agents throughout the UK. Stride Insurance Group provides brokers with bespoke cover for a wide range of commercial property such as blocks of flats, high value housing and let properties from a wide range of major UK insurers. Stride Insurance Group has grown consistently by offering brokers competitive rates and instant comparison quotes online from the popular Stride Broker Portal, with no minimum agency support commitments and no fees. Stride Limited has a total Gross Written Premium (GWP) of £16 Million annually and employs over 50 staff. Registered in England No. 1122247. Registered Office: 101 London Road, Cowplain Hampshire PO8 8XJ. Stride Limited is authorised and regulated by the Financial Services Authority.